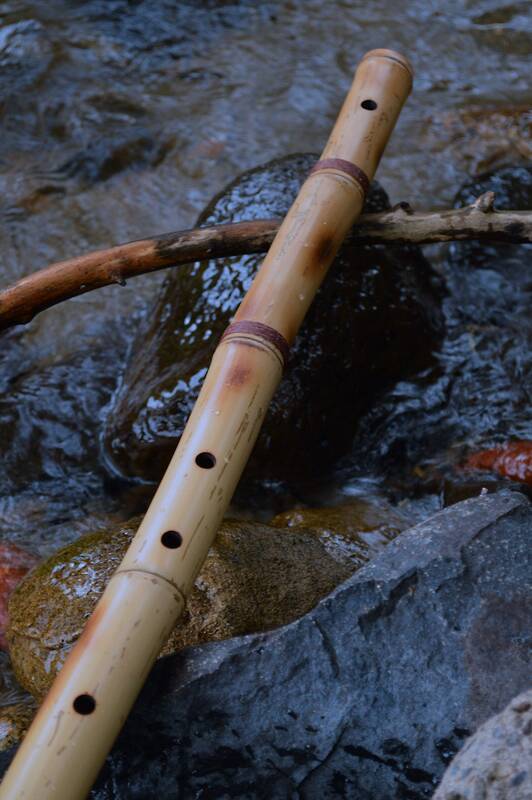 In the 1970s and early 1980's, John Niemi was building amazing bamboo zen flutes in Hawaii and was recording solo original bamboo flute albums which were very interesting and meditative. I was starting to become interested in bamboo flutes and my parents were on vacation in Hawaii and they met John on the beach. He was selling his handmade flutes and music cassettes on the beach and my Dad bought the cassette and a couple flutes for me. I was totally fascinated by these flutes and by the sounds of his music and I began to try to learn to play ... that was years ago ... I'd thought about it before and I decided I should replicate the flutes I have from John and I am finally doing it now. 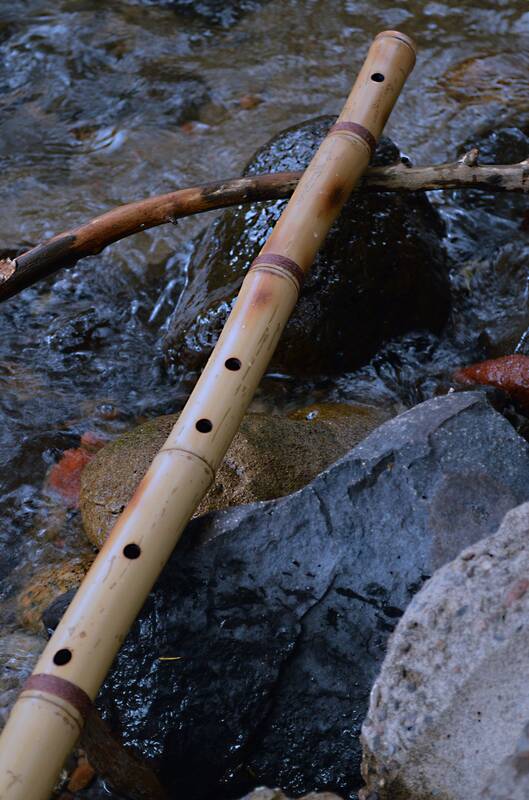 This is an exact copy of John's 26 Inch Zen Buddhist Meditation Flute. Built from cured Chinese bamboo at 1.2 inch diameter. 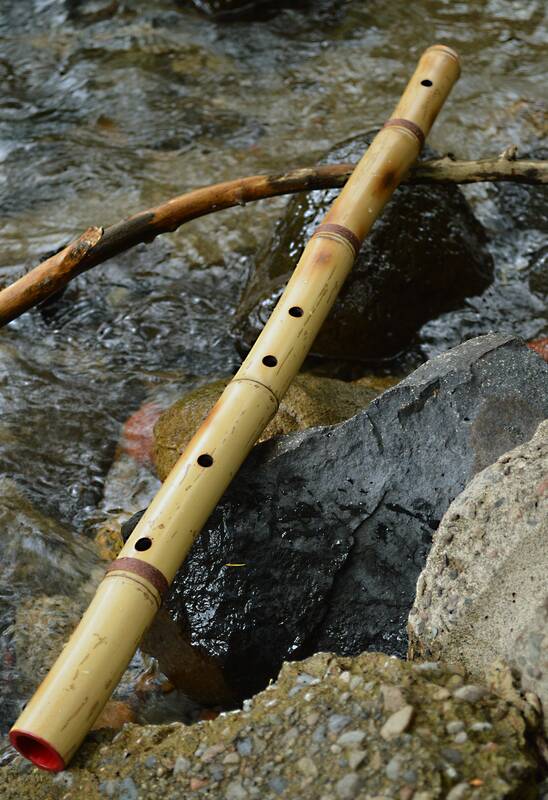 Only 4 finger holes on the top of the flute body which makes it very easy and fun to play. The scale is Pentatonic minor and very meditative and Oriental in sound and feel. All holes are burnt via a custom selection of burning rods I made to create this design. The flute body is detailed with fire burning. The bore is colored in cherry red. Beautiful gloss finish. Brown hemp bindings are added. Tuned to A440 HZ. Keys out usually to G#. 1-2 octave range.